Mars has occupied a distinctive place in the popular imagination for a century. Science fiction and the wishful thinking of Percival Lowell primed us to think of Mars as a living world, but the first landers and orbiters witnessed a frigid and arid desert landscape. Now the pendulum has swung back toward habitability, with evidence of the red planet’s warmer and wetter history and hints of sub-surface aquifers. A Mars base with short-term occupants would be a first step toward eventual colonization. NASA is planning to send astronauts to Mars, subject to its limited and uncertain budget. Meanwhile, the private sector has ambitious plans for establishing a foothold on Mars, with the Mars One plans viewed more skeptically by experts than the plans of SpaceX. Mars colonists would face challenges caused by isolation, radiation, reduced gravity, and an unforgiving external environment. Over time, they would diverge culturally, psychologically, and genetically from the inhabitants of Earth. This article is adapted from material previously published in the book Beyond: Our Future in Space, by Chris Impey, in 2015, with permission from the publisher, W. W. Norton and Company. Aldrin, E. E. (2013). http://buzzaldrin.com/what-nasa-has-wrong-about-sending-humans-to-mars/. Bulletin of the Atomic Scientists. (2018). The Doomsday clock and its timeline can be seen online at http://thebulletin.org/timeline. Carrington, D. (2002). Magic number for space pioneers calculated. New Scientist. http://archive.is/Xa8I. A report on the work of John Moore. Clarke, A. C. (2001). Meeting of the minds: Buzz Aldrin visits Arthur C. Clarke. Reported by Andrew Chaikin on February 27, 2001, from https://www.space.com. Do, S. et al. (2014). 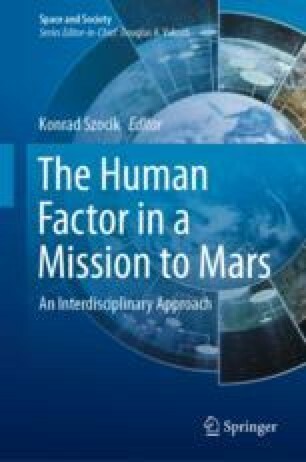 An independent assessment of the technical feasibility of the Mars one mission plan. http://hdl.handle.net/1721.1/90819. Globus, A. (1975). Space Settlement Basics, NASA Ames Research Center web pages of space colonization. http://settlement.arc.nasa.gov/Basics/wwwwh.html. Hawking, S. (2012). Quote from a transcript of a video interview for BigThink. http://bigthink.com/videos/abandon-earth-or-face-extinction. Minsky, M. (1980). Telepresence, Omni Magazine. http://web.media.mit.edu/~minsky/papers/Telepresence.html. Snowden, E. (2014). TED talk. http://www.ted.com/talks/edward_snowden_here_s_how_we_take_back_the_internet. Tsiolkovsky, K. (1911). Quote from a letter, online in Russian at http://www.rf.com.ua/article/388. Wills, A. (2013). Lansdorp quoted in “Is Mars For Sale?” for Mashable.com. http://mashable.com/2013/04/09/mars-land-ownership-colonization/. Zubrin, R. M., & McKay, C. P. (1993). Technological Requirements for Terraforming Mars. A Technical report for NASA’s Ames Research Center. http://www.users.globalnet.co.uk/~mfogg/zubrin.htm. Zubrin, R. M. (2011). National Public Radio Science Friday interview. http://www.npr.org/2011/07/01/137555244/is-settling-mars-inevitable-or-an-impossibility.